The Deschutes River Conservancy’s (DRC) Board of Directors and staff are welcoming our new Executive Director, Ron Nelson, to the organization in January 2019. Nelson succeeds long-time director, Tod Heisler, who is leaving to pursue new opportunities in conservation. Under Nelson’s leadership, the DRC looks forward to continuing its collaborative work to restore streamflow and improve water quality in the Deschutes Basin. Nelson was a founding DRC board member, as well as a founding member of the Oregon Water Trust, now The Freshwater Trust. A longtime progressive leader and innovator in the water conservation and irrigation sector, Ron is returning to Central Oregon from California where he managed an irrigation district system that included hydroelectric projects, parks, as well as domestic water distribution systems. He also served on the Oregon Water Resources Commission helping guide statewide water policy and management. “Ron has a long history of successfully working with diverse stakeholders. He has a deep understanding of water use and a passion for the river that will serve the organization well,” said DRC Board Chair Bobby Brunoe. Nelson brings to the DRC nearly 40 years of experience in water management, leadership, public relations, development of water law and policy as well as a passion for the outdoors. A Meet & Greet event is scheduled for January 8th to get to know Ron. RSVP Requested. 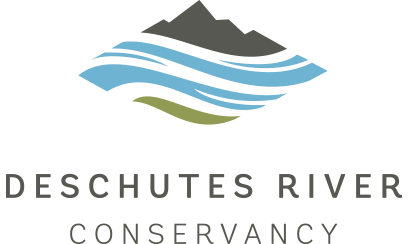 Since 1996, the Deschutes River Conservancy (DRC) has been dedicated to restoring streamflow and improving water quality in the Deschutes River Basin. The DRC specializes in programs and projects that employ voluntary, market-based incentives to restore flows. The DRC is non-litigious and serves as leaders and facilitators of basin-wide water management conversations. The board is comprised of key private and public stakeholders in the basin. The organization has worked with eight irrigation districts and over 200 landowners to restore over 250 cubic feet per second of streamflow to the basin’s rivers and streams.